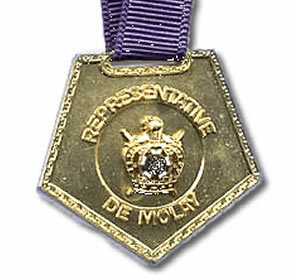 Awarding excellent performance is a key tenet of the DeMolay program. 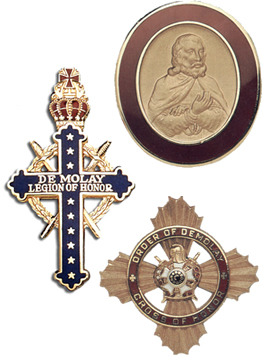 Whether it be for recruiting new members, reflecting upon one’s self, or just a sincere dedication to the cause, DeMolay offers many incentives to motivate its members. Detailed information on these awards can be found in this section. Please note these are the regulations governing Awards and Honors in Pennsylvania. If you are from another jurisdiction please contact your Executive Officer for more information. 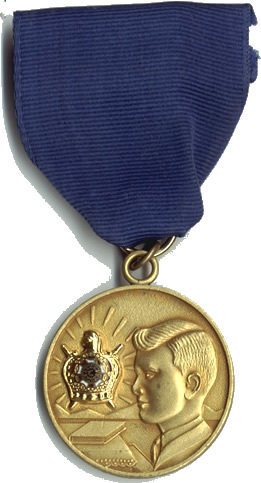 The Distinguished Service Award (DSA) recognizes outstanding overall service by a DeMolay in various fields of religious life, education, community, home, DeMolay and other areas. 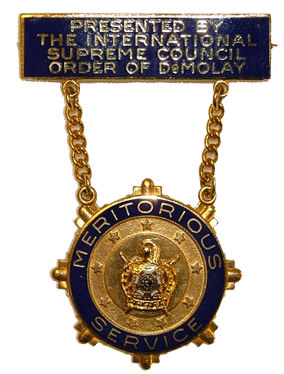 Established by DeMolay International in 1959, it is awarded to a maximum of two DeMolay members per jurisdiction per year (one per six-month term). Since the DSA is an award, rather than an honor, the prospective recipient may participate actively in preparing his own nomination. Although the awards are generally made at the annual Convention in PA, applications may be submitted at any time. The Executive Officer, in consultation with other staff, selects the recipients from among qualified applicants. There is no standard form for applying for the DSA. Rather, the applicant, working with his local Advisory Council, assembles a package of materials demonstrating his service in various areas. The local Advisory Council generally assists in soliciting recommendations from individuals who have worked with the applicant in various areas of service. The nomination for the Award officially comes from the Advisory Council, though a member may apply for his own nomination through his Advisory Council. The information below will help you in assembling an application for the DSA, and outlines the essential information that should be included. The package of materials should reflect the personality and experience of the nominee, while showcasing his qualifications to be designated as truly distinguished in his service, both in DeMolay and beyond.